Home » Blog » How A Decayed Portion Is Restored In Our Tooth? Human tooth is made up of calcium and we all know the outer portion is strongest part enamel which easily sticks to the food particles which generates acids leads to a state called cavity. 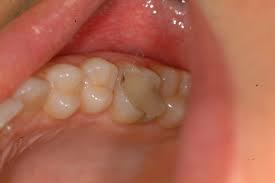 This cavity could be replaced using one of the well-known methods of tooth filling. Why I need a replacement? A filling is a replacement of lost tooth material. It may have been due to decay (bacteria which destroys the teeth with its acid) or fracture (a force that has broken the tooth). The conventional “silver” filling – which is avoided now due to the potential environmental pollution due to the mercury in the filling. One of the best fillings as they are well tolerated by gum tissues, and may last up to 20 years most expensive fillings too. Type of restoration method used to repair the damaged portion which is similar to fillings used to fits inside the top edge. They strengthen the tooth and remaining dental structure when fabricated and placed. 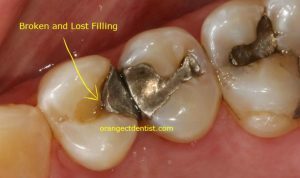 When lost of enamel is large, a crown-shaped substance is used to cover over the damaged portion. Usually, this is done when the damage is 3/4 of the amount. • They strengthen the tooth and remaining dental structure when fabricated and placed. • It can be finished and polished well so will not trap plaque and food debris. Get your damage cured at early stages with our specialist, So, wait for what? prevent cavity & teeth decay by our team of experienced Dentists at Apollo WHITE dental.